If you have suffered injuries due to a motorcycle accident, our personal injury attorneys may be able to help you to recover financial compensation. Motorcycles are notorious for being involved in accidents for a variety of reasons. Don’t wait to get legal help after you or a loved one are harmed in a motorcycle collision. Obtaining experienced assistance from a motorcycle accident lawyer in your area can help you secure the financial compensation you deserve for the damages you’ve incurred as a result of the accident. If you have recently been hurt in a Georgia motorcycle accident, your willingness to gather information and to present it to a personal injury attorney can make a world of difference in your eligibility to recover compensation, and your chances to move on from such an accident. Far too many motorcycle accidents are caused by reckless or distracted drivers and it is often the motorcyclist who suffers the most severe injuries after being hurt in a crash. Life lasting medical conditions and problems can occur for those who suffer in Georgia motorcycle accidents and if this has already happened to you, you deserve to have the support of an experienced and talented Georgia motorcycle accident lawyer. A Georgia motorcycle accident lawyer remains at your side for the duration of your case, advising you about settlement opportunities and helping to prepare you for what to anticipate as your legal case unfolds in the court. No matter how your incident happened, you deserve to have someone advocating for your best interests and helping you to fight for the best possible outcome. If you believe that you have already been hurt in a motorcycle accident that was caused by another person’s Reckless Behavior, it is essential that you find an experienced attorney immediately. Often, it is the motorcycle accident victim who sustains the most severe injuries in an accident. This is because a motorcycle rider does not have the added benefit of seat belts, airbags, or other safety protections inside a vehicle. A motorcycle rider can all too easily be thrown off of his or her bike and into oncoming traffic or stationary objects. This is why motorcycle riders involved in an accident are more likely to suffer catastrophic injuries such as traumatic brain injuries, paralysis, and more. Motorcycle accidents are also frequently connected to road rash, a condition that affects a motorcyclist who is thrown into asphalt, concrete, or similar hard surfaces. When this happens, trusting your future to insurance adjusters is a huge mistake. A Georgia motorcycle accident victim cannot count on anyone but themselves and their injury lawyer to fight for a fair outcome. Only you and your attorney will be able to explain how the accident has affected your life and what that means for you, but you should know that the other side might make it difficult. Your future depends on filing a compelling claim, however, so your lawyer should take your case seriously. 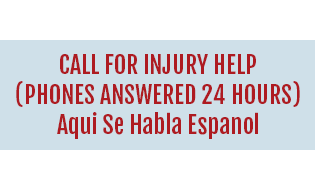 In your initial conversation with an attorney, set up a chance to ask questions about their individual experience in personal injury and motorcycle accident claims. Someone who knows how motorcycle victims often tend to suffer more significantly than a person inside a car will also be familiar with the common tactics used by the insurance carrier or the other side to minimize liability. The statute of limitations in Georgia officially outlines how long you have to file a personal injury claim. You have two years after an accident happens to file a lawsuit in Georgia court. The clock on this to your deadline is typically beginning running immediately on the date of the accident. 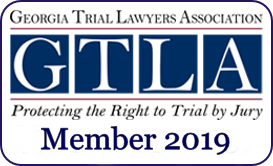 It is critical to understand that you must abide by Georgia’s existing statute of limitations in personal injury claims because if you attempt to file your injury case after the two-year period is closed, your case will be rejected and you will lose your opportunity to receive compensation for your injuries. You have only six months if you have an injury claim against a county or city. Georgia injury claims against the government can be vastly more complex in your motorcycle accident case and should only be handled by a dedicated attorney. What Does It Mean to Say That Georgia Has Comparative Fault Laws? In certain situations, when you begin to file an insurance claim or a court case after sustaining an injury, the other party might claim that you are either partially or wholly at fault. Georgia has a modified comparative fault rule, which means that you are not entitled to damages or will have reduced damages if you’re found to be mostly at fault or partly at fault for the accident. Courts are required across the state of Georgia to apply the comparative fault logic in injury cases in which both parties are found to share a portion of the fault. This issue might come up in settlement negotiations, so it’s important for your attorney to have experience responding to these claims, and to be able to walk you through it if it arises. Georgia is known as a fault state when it comes to determining liability. This means that people injured in Georgia car accidents have numerous options for recovering compensation for their losses. An injured victim can file a third party claim with the other driver’s insurance carrier, file a lawsuit in court, or file a claim with their own insurance company. The more you know about your own auto insurance, the easier it will be to file a lawsuit with the help of an attorney. Auto insurance laws can protect a motorcycle rider who is critically hurt in an accident and has to rely on their own insurance to move on. Is There a Damage Cap on My Georgia Motorcycle Accident Case? Currently, Georgia does not cap damages in medical malpractice claims or other types of personal injury cases. Some states do have damages on personal injury case awards including those handed down by a jury. This is not accurate in the state of Georgia, however. The way that you present your personal injury case will have important implications for possible damages. If you have already been hurt in a serious motorcycle accident case, time is of the essence and you cannot afford to wait to get support for your motorcycle accident injuries. Whether you have suffered road rash, broken bones, fractures or a traumatic brain injury, the time immediately following your accident has the most important implications for your ability to recover and move on with your life. 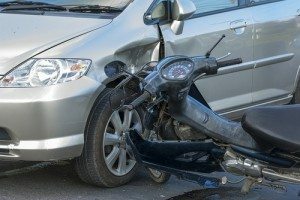 Even if you are not yet sure whether you have sustained severe enough injuries to file a personal injury claim for your motorcycle accident, it is better to assume at this point in time that you will file a claim and to schedule consultation with an experienced personal injury lawyer who has helped many other motorcycle accident victims. Often, motorcycle accident victims come forward with a personal injury case because another driver was not looking or was not paying attention. It is far too often the situation that the motorcycle accident victim is the one seriously hurt in a wreck. In fact, it is not uncommon for a person in this situation to have injuries so severe that they cannot ever return to work or that the vast majority of their work-related tasks can no longer be completed by them because of physical disabilities. In addition to the direct physical consequences of being hurt in an accident, there are also additional factors, such as emotional turmoil that can impact your family. If you have lost a loved one due to a motorcycle accident, you could be entitled to pursue a wrongful death case in the state of Georgia. Knowing that your lawyer has experience gathering evidence in filling these types of claims is important for your own peace of mind, as your hands will be full with other activities following the loss of your loved one. No matter how the accident has happened, you deserve to have answers and your family members need to know the true effect that this accident might have on your life. Your personal injury lawyer will play an important role in helping your family to put together the puzzle pieces, and to evaluate how you’ll be able to move on following a serious motorcycle accident. Entrust your case only to an experienced and caring motorcycle accident lawyer who knows what it takes to fight for you. Motorcycle collisions can happen without warning, and are usually caused by more than one issue. If you think that the other driver is the one who put you at risk, the burden of proof to show this falls on you. the more prepared you are before you file, the easier it will be to put you back on track with your injury claim. You deserve an attorney who can help you with all aspects of your injury claim from day one, and one who knows just how important it is that you recover compensation. Although it’s your job to show what caused the accident, you might be able to accomplish this even if you don’t have video footage or other strong evidence from that day. An accident reconstruction specialist, for example, might be brought in to walk through how the accident happened in the first place. This person explains the dynamics of the forces leading up to the accident directly and is a crucial component of being able to tell your story in court in a compelling and clear manner. The selection of these other professionals should occur early on in your process so that you can be clear about who is responsible for best explaining certain types of evidence to the court. Your lawyer will help explain to you what to expect in depositions and other aspects of the case as well. 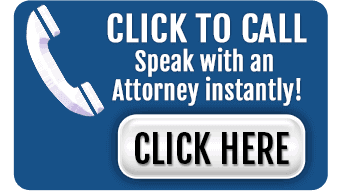 Your lawyer is a big help for you. Regardless of what you believe was the cause of your accident, don’t assume that you are responsible for the overwhelming financial burden of paying for medical costs, lost wages, and property damage. A personal injury claim can help you recover many of the damages you’ve incurred, helping you to move on after the accident. At Chalker Injury Law, we know how life-changing a motorcycle accident can be. 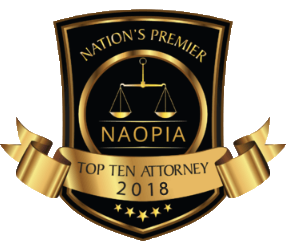 Our experienced personal injury lawyers understand how to guide clients step-by-step through the personal injury claim process and can help you pursue the highest settlement award possible in your case. After a motorcycle accident changes your life forever, you simply cannot afford to let those responsible get away with their negligence. Call us today for a consultation at (678) 319-9991.